ATTA’s Marketplace at AdventureNEXT Near East continues its commitment to forging international partnerships. 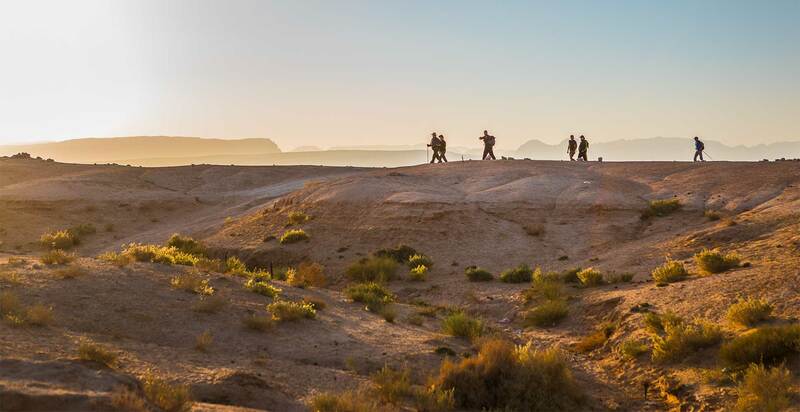 In the inaugural AdventureNEXT Near East, we heard from delegates that more time for pre-scheduled meetings would be key and as a result, we added more time and more meetings to ensure all participants walked away from the event with connections that matter. Now in our third year, we continue to refine and improve upon the marketplace experience. With real time feedback surveys and improved supplier profile listings, marketplace remains preeminent space for connections. Meetings that matter. Find your best potential partners in advance, and request and review each meeting online. 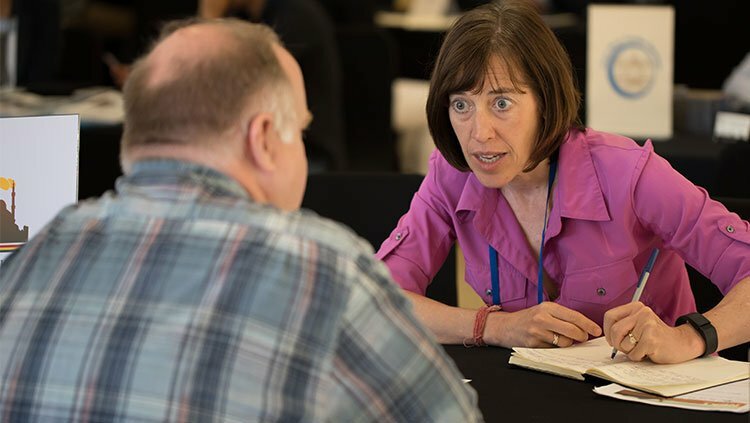 This dedicated time for pre-scheduled meetings is the proven recipe for meaningful connections between those who can mutually benefit from a new partnership. Adventure companies who are interested in your region. With its dedicated focus on tourism to the Near East region, delegates and media attend because of their proven interest in the region including developing regional itineraries and generating ideas for articles, stories and social content about the Near East. Tap into ATTA’s marketplace expertise. The ATTA’s marketplace events have been a mainstay of its Adventure Travel World Summit and AdventureNEXT events at countries across the globe. Our team is committed to ensuring your successful meetings, and our technology platform brings your meetings to your fingertips. Inbound tour operators offering quality product from the region. All together in one room, you’ll find unique operators ready to share what they do and discuss opportunities to partner together with attending outbound tour operators, wholesalers, and specialty travel advisors. Outbound tour operators, wholesalers, and specialty travel advisors are looking to gain access to exclusive one-on-one meetings with participating inbound tour operators and accommodations from Jordan and neighboring countries. 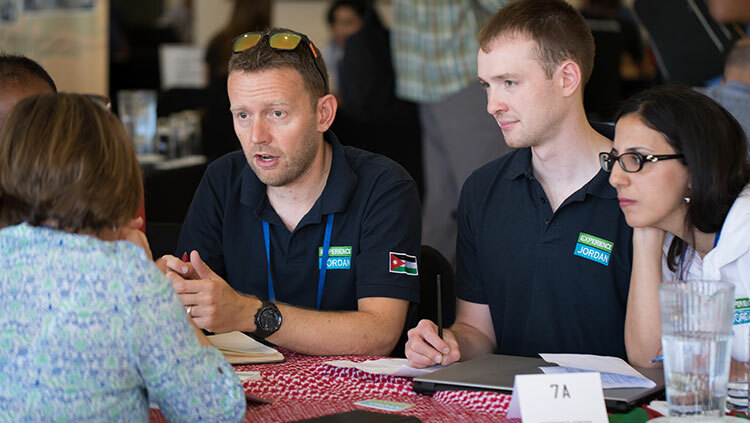 These are international adventure specialists attending to forge international partnerships with suppliers headquartered in Jordan and the greater MENA region. 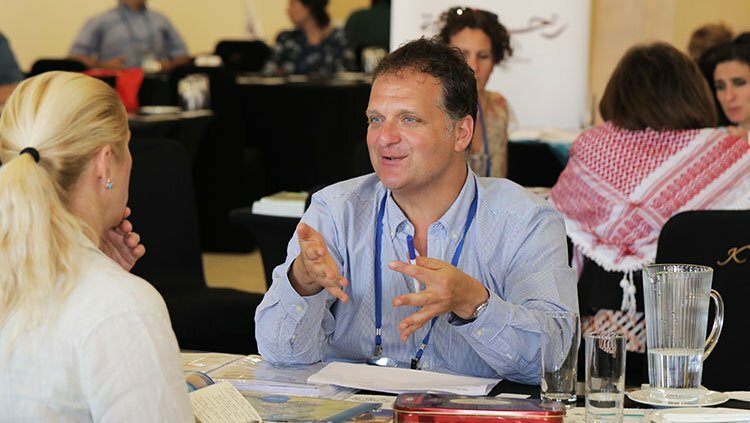 International editorial media are eager to gain insight into adventure travel news in the Near East and ATTA members’ products and the destination where the event takes place is their source. By meeting with Media during our marketplace, you’ll have the opportunity to share your story and help inspire others to experience the region. The ATTA’s Marketplace at AdventureNEXT Near East provides a focused setting for inbound tour operators and accommodations from the region to connect with potential partners, hold business meetings and promote your brand to international buyers and media. This is your opportunity to start business relationships, develop your network and drive new business globally. Marketplace is not included with normal registration, and can be purchased as a package during registration. Please note that late registrations will have less access to scheduling appointments, so we encourage you to secure your table as soon as possible. If you’re already registered for AdventureNEXT or already are an ATTA Member please request an invoice. Outbound tour operators, wholesalers, specialty travel advisors and media are invited to gain access to exclusive one-on-one meetings with select inbound tour operators and accommodations from Jordan and neighboring countries. These are regional adventure specialists attending to forge international partnerships. Register for AdventureNEXT or apply to be a hosted buyer. Already registered? Fill out a badge form and select ‘buyer’ in the company field type. Apply to be an official media delegate. What’s included in Marketplace for Buyers and Media?